Clean Air Filtration operates Australia’s leading Grease Filter Exchange & Cleaning Services. Our service has been established for over 26 years, enabling us to offer you a GUARANTEE of perfectly clean and functional recycled grease filters. We will advise when a grease filter has reached the end of its life and in this case, we offer brand new grease filters at wholesale prices. Our service extends to muck suckers, smog hog & electrostatic systems. Our innovative cleaning process is also environmentally friendly. Our choice of chemicals and strict adherence to waste water regulations ensures a positive environmental impact. Of course. 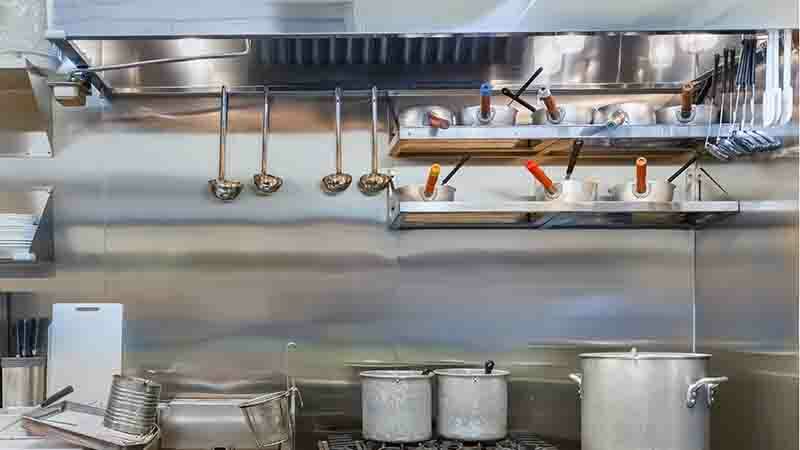 all out work is certified and is compliant with related Australian commercial kitchen cleaning requirements (A.S. 1851-2015). The honeycomb grease filters are by far the most preferred filters in Australia’s kitchens today which meet food hygiene requirements. These 50mm wide, grease & oil filters are made from aluminium foil, ribbed into a channel shaped as herringbone. This filter forms a non-nesting arrangement of smooth-walled honeycombs. The alloy ribs split the grease laden inward air, causing it to change direction.This resistance results in grease adherence and condensation onto the surface of the filter, preventing it from inflowing the exhaust. The condensed grease then drains into the canopy channels through the drainage holes. The retractable handles are made from steel. Other handles are available at the request of the client. To order honeycomb filters for your kitchen, contact us! Note that we can also supply baffle type fire resistant filters at 45 mm wide or special order mesh type filters on request.